If you ask anyone about their family, it’s rare someone will come back with, “Oh, my family’s just your everyday, normal family.” If they do, they’re probably lying. Every family has its quirkiness. Sometimes it’s what makes us love them, other times it makes us hate them, but there’s no changing it and we learn to deal with it, or we don’t. It’s all up to us. When it comes to homosexuality, it can get tricky for some, depending on the family. Speaking from experience, it was a breeze for me, but I know there are others who have had a more difficult time. 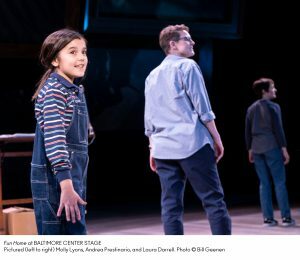 In Baltimore Center Stage’s latest production, Fun Home, with Music by Jeanine Tesori and Book & Lyrics by Lisa Kron, we get a glimpse into one family’s story of a lesbian daughter and her closeted gay father with the background of a funeral home in an ordinary town in Pennsylvania. This production is Directed by Hana S. Sharif, with Music Direction by Evan Rees, and Choreography by Jaclyn Miller. 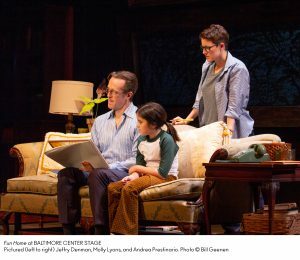 Briefly, Fun Home is based on an autobiographical graphic novel of the same name by Alison Bechdel concerning her complex relationship with her closeted father in the mid to late 70s in a small town in Pennsylvania. Through flashbacks, of childhood and college years, the present day 40-something Alison tells the story of her own coming out and coming to terms and of her own father’s coming to terms, as well as her own realization that her beginning was his end. Scenic Design by Scott Bradley & Projection Design by Hana S. Kim is simple, but stellar. Bradley has managed to use a sparse stage and set pieces to represent various locations in the old Victorian house and their use of the trap doors to bring in different pieces such as a representation of an old car and living room is quite clever. It keeps the stage clean and the transitions smooth as not to hinder the action of the piece. The carefully selected projections and animations add great value to the piece and, running in tandem with the action and dialogue, adds variety to the setting and immerses the audience in each scene. Bradley and Kim are to be commended for their efforts. Karen Perry’s Costume Design manages to take the audience from the past to the present and back again, flawlessly. The 70s (much like every other decade) had a certain style and Perry has captured this look in a way that isn’t campy (except in one number, “Raincoat of Love” in which it is required – gold platforms and all) but authentic and it’s kind of a cross between modern and vintage which works beautifully for this piece. Her instincts are spot on and kudos to her for her design. 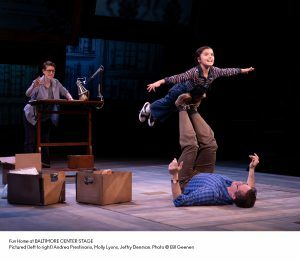 Though a production like Fun Home doesn’t require much choreography, Choreographer Jaclyn Miller has taken those bits that do require it right back to the era in which they take place. Reminiscent of The Brady Bunch or Partridge Family (though more of the former), or even the Jackson 5, Miller has created engaging and upbeat moves for the ensemble in numbers such as “Welcome to the Fun Home” and “Raincoat of Love” and the results are delightful. “Welcome to the Fun Home” consists of only children but they managed the choreography beautifully which tells me Miller knows her cast and fashions dances that will enhance their performances, and it does indeed. The fun, fluffy, bubble gum pop “Raincoat of Love” is no different and looks as if it were snatched off a music special of the 1970s. Again, there’s not much choreography to speak of, but what Miller has put on the stage is splendid and adds that extra “oomph” to an already engaging show. Evan Rees takes the reigns as Music Director and his work on this production is terrific. Musically Directing a Tony award winning piece is no small feat but Rees has stepped up to the challenge and has accomplished the goal. It doesn’t hurt that his cast is musically apt, and Rees has guided them to beautiful and emotional performances making for an very entertaining evening of theatre. Shout out to the exceptional orchestra of this production including Alex Aucoin (Percussion), Andy Axelrad (Reeds), Zack Branch (Basses), Amelia Giles (Violin/Viola), Gerry Kunkel (Guitars), MaryAnn Perkel (Cello), and Even Rees, himself, on Keyboards and serving as conductor. Taking the helm of this production is Hana S. Sharif and her Direction makes it clear she has a hearty comprehension of this material and her presentation is impeccable. The pacing is upbeat when it needs to be and slows down when required but always engaging. Sharif understands telling a story in flashbacks and jumping back in forth in time and presents it in a way that is easy to follow making for smooth transitions and story-telling. Moving on to the performance aspect of this piece, the younger members of this ensemble consist of Jon Martens as John Bechdel and Liam Hamilton as Christian Bechdel and these young gentlemen are already setting themselves up for successful careers. Both boys portray their supporting characters with confidence and ease making them a joy to watch during their scenes and especially their fun performances in numbers like “Welcome to the Fun Home.” They hold their own throughout and give strong performances. Two other supporting roles are taken on by Shannon Tyo as Joan and Justin Gregory Lopez as various characters. Tyo is clearly comfortable in her role as she delivers her dialogue naturally and she puts the audience at ease with her portrayal of this friendly, but straight forward character of Joan, the love interest of Alison. In the same vein of authentic portrayals, Lopez shines in his various roles, showing his ability to play different characters exiting and entering only moments apart. He’s believable in his portrayals and, vocally, Lopez is a powerhouse as he exhibits in his featured number, the nostalgic, upbeat “Raincoat of Love.” Kudos to both Tyo and Lopez for jobs very well done. Through flashbacks, Laura Darrell as Medium Alison and Molly Lyons as Small Alison give exquisite performances. Darrell, though looking a little older than the oldest Alison, gleams as the college aged Alison and completely embodies her role. Her rendition of the poignant and humorous “Changing My Major” is a memorable one and shows off her beautiful, strong vocals. She has a deep understanding of her character’s conflicts and portrays them effortlessly. Also, the young Lyons is brilliant as the youngest version of Alison and gives a confident performance well beyond her years. Vocally, Lyons stands her ground and belts out a near flawless “Ring of Keys” making for an impressive and charming performance, overall. A definite highlight of this production is Michelle Dawson as Helen Bechdel, the matriarch of the Bechdel family and a woman who is just trying to keep her family together, in spite of her husband. Dawson’s performance is superb as she emotes the emotion and strife this character is feeling throughout. Her gentleness with the character is in beautiful contrast of the obvious turmoil she is feeling inside. Her strong and confident performance of “Days and Days” in the second act is show-stopping and makes the audience take notice. Dawson is to be commended and applauded for her efforts in this role. Standouts in this production are Jeffry Denman as Bruce Bechdel and Andrea Prestinario as Alison, the two pivotal characters around which this story revolves. This being the first time I’m experiencing Fun Home live, I’d done some light research before attending this performance, but I wanted everything to be fresh, so I limited my research. I had no idea how shady the character of Bruce Bechdel and it’s a little unnerving to know he’s based on a real person. That being said, Jeffry Denman is spot on in his portrayal of Bruce Bechdel. His authenticity in playing a man who is caught between two worlds is believable and, vocally, Denman is a wonder with a smooth timbre that resonates throughout the theatre. His performance of the emotional and heavy “Edges of the World” brings his character together and gives a better understanding of this person and his inner-conflict. In tandem with Dennam’s portrayal, Andrea Prestinario is an absolute joy to watch. Her portrayal of the present day Alison is so splendid, it’s easy to connect with this character instantly. She is confident and comfortable in this role, which puts the audience at ease, as well. Working as the narrator of this story, Prestinario skillfully walks us through each scene and her slight interactions within the scenes are subtle and she certainly makes this character the heart of the story. Vocally, she is a powerhouse as seen in her performance of the tense but thoughtful “Telephone Wire.” Prestinario should be applauded for her work and I can’t wait to see more from this able actress. Final thought… Fun Home deserved every accolade it received and continues to receive. Not only is the text well though-out and put together, the music is modern and catchy, but heartfelt. The production at Baltimore Center Stage is top notch with exquisite talent and should not be missed this season. There is not one weak link in this chain of performers and everything from Set Design to staging to Music Direction is on point. 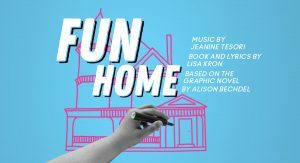 The story in Fun Home been around for ages and will probably continue on for ages and this particular presentation of a family in crisis, learning about each other, and how to deal with each other has everything – poignancy, humor, sadness, and hope. Get your tickets now, before it’s too late. Come on down to the Fun Home! You won’t regret it! 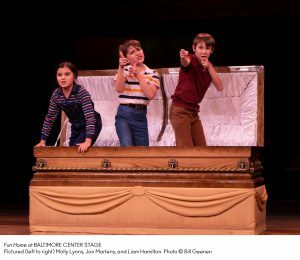 This is what I thought of Baltimore Center Stage’s Fun Home… What did you think? Please feel free to leave a comment! 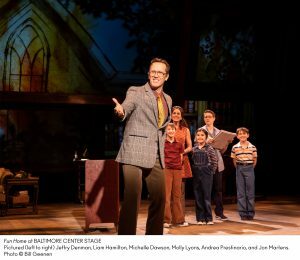 Fun Home will play through Feburary 24 at Baltimore Center Stage, 700 North Calvert Street, Baltimore, MD. For tickets, call the box office at 410-332-0033 or you can purchase them online. Religion can be a tricky thing to write an entire show about. Religion is a very personal concept and people have very strong feelings about it which makes it even more risky. However, to find a good balance and write a show about religion that isn’t over-saturated with said religion is a rare and beautiful thing and Baltimore Center Stage’s latest production, The Christians by Lucas Hnath, Directed by Hana S. Sharif, with Music Direction by Jaret Landon, is just that, a fine balance of beliefs told in an entertaining but honest and poignant way that makes for an enjoyable, yet thought-provoking evening of theatre. Mike Carnahan’s Set Design is minimal, but beautiful. This set puts the audience in the seats of a mega-church with a sleek and modern design that is quite functional, including a choir loft and bandstand for the outstanding choir and small band that is included in this piece. Most of the action takes place center stage and the minimal design prevents mucking up or crowding the actors and the band and choir, though set back, is prominent and easy to see, as they should be. This clever set design works in tandem with the stunning and mood-setting Projection Design by Hana S. Kim, that adds value to the production and, as stated, sets the mood for each scene and action happening onstage. As with any mega-church, or any service in general, music is an important aspect and Music Director Jaret Landon knocks it out of the ballpark with this production. Wisely, this piece starts off with the choir (credited as the Community Choir of Baltimore Center Stage) with an upbeat, gospel piece that has the audience tapping their feet and clapping their hands. Some even sing along, which is actually encouraged. I’d like to note I am a HUGE fan of gospel music and I found myself tapping, clapping, and singing! Landon has the choir singing in beautiful harmony and the soloists were on point. The band, consisting of Jaret Landon on Keyboards, Todd Harrison on Drums, Max Murray on Bass, and Michael Raitzyk on Guitar are tight and well-rehearsed making for a phenomenal performance along with the Community Choir of Baltimore Center Stage. The music aspect of this production really put the audience in the mindset of the piece. The only stumble that comes along in the musical styling of this production is the last choir performance which is kind of like an audience-interactive piece, like in a church, and though the choir is just as strong as they are in the beginning, the male soloist is a curious choice as he doesn’t seem to have the gospel style down as well as he should for a finale, a little stiff and a little more subdued and technical than called for, the soloists performance just seems to fall flat. Otherwise, major kudos to a job well done in the music department. Lighting Design by Jen Schriever is precise and fits well with this production. With isolation lighting and splashes of color, where needed, it blends nicely and moves the piece along without jarring the aesthetics or being a hindrance to the piece itself. A true sign of a good lighting design is when one doesn’t notice the lighting, but does when needed and that’s exactly what happens with Schriever’s design. Hana S. Sharif takes the reigns of The Christians and she does, indeed, have a great comprehension of the text and the meaning of this complex story. Her casting is spot on and they all work well together. Her vision is clear and the piece does not lean to one side or the other but balances just as the text requires. Sharif does well with the multifaceted issue of afterlife and one’s belief in that afterlife, which is the center of this piece, and presents it in a way that is a back and forth dialogue instead of an argument. The pacing is near perfect and she keeps the action moving forward with moments of intensity between certain characters that give it a peaks and valleys movement which is exactly what makes this show work. Moving on to the performance aspect of The Christians, every single actor in this ensemble made his or her character his or her own and worked with and off of their cast mates beautifully. Jessiee Datino takes on the role of Jenny, a single mom who found redemption and salvation in the church and wants desperately to keep what she found but is having questions which she hesitantly, but bravely presents. Datino has this this character down pat. From the nervous giggling to the gestures, she really embodies this character of Jenny and has a good grasp on her. Datino gives a strong, natural, and delightful performance. Lawrence Clayton (who if you look really quickly, could be a Lawrence Fishburn double) takes on the role of Elder Jay, a jovial but-business minded gentlemen who really wants what best for the church. Clayton plays this role splendidly with an authenticity that makes this character quite likeable and wise. Adam Gerber tackles the role of Associate Pastor Joshua, the staunch, zealous, yet faithful Associate Pastor who wants what’s best for the church, just like the rest of the characters, but also wants to be certain everyone believes in a certain doctrine or dogma. Gerber plays the role intensely and confidently, making his character not so likable, but not despicable. His emotion and gestures give an authenticity to this character that Gerber completely embodies. The thing about his character is, we all, in one way or another, directly or indirectly, know a person like this character and he’s hard to figure out. He has an objective, that Gerber works for brilliantly, but it’s still hard to reconcile our respect for this character and our own beliefs, making for a stimulating and exasperating character that Gerber pulls off effortlessly. Taking on the role of Elizabeth, the preachers wife, is Nikkole Salter who has an air of elegance and dignity that is required for this role. She fits perfectly with this character and gives a poignant, truthful performance. Salter works especially well with and has great chemistry with her counter-part, Howard W. Overshow, who takes on the complex role of Pastor Paul, who’s belief is changing and trying to deal with it and the opinions of his congregation. Overshow is an absolute standout in this production giving a superb performance. From the moment he steps onstage, one feels they are in a service watching a strong, confident preacher do his thing. His booming, yet comforting voice and gestures make for an extremely realistic performance and the emotion he emotes throughout his more intense scenes is outstanding. His anguish and confusion is clear in his performance and he handles the balance beautifully. Final thought… The Christians is a poignant, though-provoking look at beliefs and how they can shape or even re-shape a person’s outlook on life. The performances were top-notch and the book by Lucas Hnath is cleverly written as he doesn’t dwell so much on religion but on individual views on the afterlife and gives a good balance of those views. From set design, lighting, and the amazing choir supporting this piece; you don’t want to miss it! It may have you asking questions or confirming what you already believe but either way, it will make you think and that’s always what good theatre does. Get your tickets now! 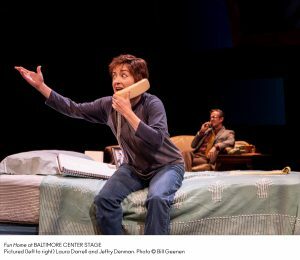 This is what I thought of Baltimore Center Stage’s production of The Christians… What did you think? Please feel free to leave a comment! 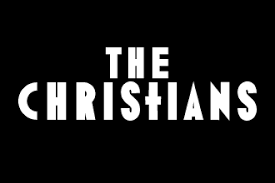 The Christians will play through October 8 at Baltimore Center Stage, 700 North Calvert Street, Baltimore, MD. For tickets, purchase them online. Baltimore—August 30, 2017. Baltimore Center Stage is pleased to announce the cast and artistic team for The Christians, the theater’s first production of the 2017/18 Season. The Christians launches a “season of community” at Baltimore Center Stage, where every program and production will explore the role of artists and institutions in building community. Prescient in its investigation of the commercialization of religion, The Christians, one of the most produced plays in recent years in the American regional theater, is a new play about the cost of challenging one’s beliefs, the responsibility of leadership, and the seemingly insurmountable distance that exists when people of strong convictions and common faith discover that they might not believe the same thing. This production brings the community on stage via soul-stirring anthems from the New Psalmist Baptist Church Choir, the Greater Baltimore Church of Christ Choir and the Community Choir of Baltimore Center Stage. The majestic set converts the historic Pearlstone Theater into a modern-day megachurch. Activities to engage theatergoers in conversation, such as “Table Talk” for impromptu, audience-driven conversations, as well as post-show panel discussions with leaders from different faiths and opportunities to meet the actors, will occur throughout the run. The cast includes Lawrence Clayton* (Elder Jay), Jessiee Datino* (Jenny), Adam Gerber* (Associate Pastor Joshua), Howard W. Overshown* (Pastor Paul) and Nikkole Salter* (Elizabeth). The artistic team includes Lucas Hnath (Playwright), Hana S. Sharif (Director), Mike Carnahan (Scenic Designer), Michael Alan Stein (Costume Designer), Jen Schriever (Lighting Designer), Hana S. Kim (Projection Designer),Gavin Witt (Production Dramaturg), Pat McCorkle, Katja Zarolinski, McCorkle Casting, Ltd. (Casting Director), Tiffany Fulson (Assistant Director), Nathan A. Roberts, Jaret Landon, Charles Coes (Original Music/Arrangements), Nathan A. Roberts, Charles Coes, (Sound Design) Jaret Landon (Music Director), Edward Goldstein (Music Contractor), Todd Harrison (Drums), Jaret Landon (Keyboards), Max Murray (Bass), Michael Raitzyk (Guitar). *Member of Actors’ Equity Association. The Christians opens Thursday, September 14, with previews September 7–13, and closes Sunday, October 8. Press night is Opening Night, September 14. For more information, visit www.centerstage.org or call the box office at410.332.0033. This production is made possible by DLA Piper. This performance is supported in part by a grant from the Maryland State Arts Council (MSAC). To discover more about Maryland State Arts Council grants and how they impact Maryland’s arts sector, visit msac.org. Funding for the MSAC is also provided by the National Endowment for the Arts. Center Stage’s Season Sponsor is M&T Bank and the season is also made possible by The Shubert Foundation and the Baltimore County Commission on Arts and Sciences. 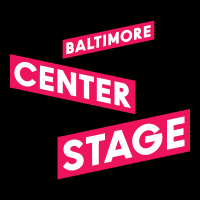 Baltimore Center Stage is a professional, nonprofit institution committed to entertaining, engaging and enriching audiences through bold, innovative and thought-provoking classical and contemporary theater. Named the State Theater of Maryland in 1978, Baltimore Center Stage has steadily grown as a leader in the national regional theater scene. Under the leadership of Artistic Director Kwame Kwei-Armah OBE and Managing Director Michael Ross, Baltimore Center Stage is committed to creating and presenting a diverse array of world premieres and exhilarating interpretations of established works. 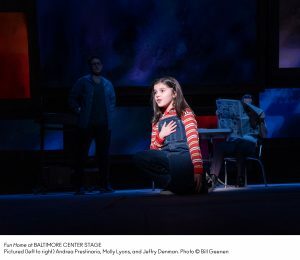 Baltimore Center Stage believes in access for all—creating a welcoming environment for everyone who enters its theater doors and, at the same time, striving to meet audiences where they are. In addition to its Mainstage and Off Center productions in the historic Mount Vernon neighborhood, Baltimore Center Stage ignites conversations among a global audience through digital initiatives, which explore how technology and the arts intersect. The theater also nurtures the next generation of artists and theater-goers through the Young Playwrights Festival, Student Matinee Series and many other educational programs for students, families and educators. Old fairy tales and fables usually make for good fodder for stage productions, usually for what one would call “children shows” but they’re taking it up a notch down at Baltimore Center Stage with their latest offering, The White Snake, by Mary Zimmerman, Directed by Natsu Onoda Power, giving us an adult, modern version of an ancient Chinese fable of life and loss. The White Snake is based on a Chinese fable and is about a spirit serpent who transforms herself into a lovely maiden and ventures from her mountain home into human civilization. She is accompanied by a fellow spirit, Green Snake, who poses as her sassy handmaiden. White Snake soon falls in love with the poor but upright Xu Xian and starts a life with him, only to have her past haunt her. The story itself is a good story with a good message of “life is short, live it to the fullest” but the adaptation by Mary Zimmerman fell flat for me. Trying to update an ancient tale is always challenging but sometime the simplest route is the way to go, however, in this adaptation, it felt as though Zimmerman was trying too hard to bring this tale into the 21st century. Let me be clear, the ensemble, the musicians, the designs, and everything else about this production are stellar; it’s just the adaptation that doesn’t ring my bell. The spectacle of the production keeps it interesting but with all the modernization Zimmerman doesn’t leave much to the imagination and wants to spell out every little detail of the story making much of it feel a bit over-told with a large host of narrators describing every… little… thing. Through it all, and thanks to the ensemble, the pacing is good and stays just under the 2-hour mark. Baltimore Center Stage recently went through a hefty face lift and it’s absolutely gorgeous. The White Snake is presented in the Head Theatre, on the upper levels and though it’s a large space, it’s more intimate than it looks and is a perfect space for this piece. Scenic Design by Hana S. Kim is minimal, but stimulating, using tall curved bamboo shoots and creating different levels with platforms. The settings are more represented rather than using intricate and specific set pieces but the design works nicely and the actors maneuver the set easily. Adding to the set, Kim also designed the beautiful projections used in this piece adding a fanciful feel to the story-telling and to the piece as a whole. Light and Sound Design by Rui Rita and Alex Hawthorn, respectively, add great value to this piece, creating mood changes and helping with pacing from calm moments to the more frantic, garish scenes. Nicole Wee’s Costume Design for The White Snake is authentic, yet practical and modern. Since the setting is described as “A long time ago, and yesterday.” It is challenging to create a costume plot to fit both times but Wee has managed to give representations of the times with basic costumes and by adding and taking away pieces. The actors act as puppeteers, as well, navigating through the story with snake tales and, at times, full snake puppets, but the Costume Design is comfortable and completely appropriate. Though I wouldn’t classify The White Snake as a musical but more like a play with music, Music Direction by Jeff Song is creative, contemporary, and innovative. From what I understand, the music for this production was created from scratch, having been created, in collaboration, during the rehearsal process. With its Western and contemporary, yet authentic sound to tell an ancient Chinese fable, the music is original, appropriate, and fluid. It adds to the piece rather than distracting from it and the score blends into the production, moving the story along nicely. Kudos to Song for his diligent and inventive work. Director Natsu Onoda Power has taken this piece and presents it in an exciting and through-provoking manner staying true to the story but bringing it to a current audience. The fluidity of the show is superb and it moves along seamlessly. Her casting is impressively diverse and her vision is clear making sense out of a hectic script and confusing adaptation. To comment on the performance aspect of this piece, the entire ensemble did a fantastic job bringing this story to life on the stage. It is a true ensemble piece where everyone plays an important part and participates in just about every moment of the production. As Fa Hai, the power-hungry head monk who is trying to recapture The White Snake, Peter Van Wager has a great command of the stage and a very strong presence but seems out of place. His tone and movement don’t seem to match those of his fellow cast members; not to say they are bad, because they are not, just… different. Overall, however, he gives a commendable performance. Aimé Donna Kelly takes on the title role as The White Snake seems a bit subdued throughout most of the production. Her gentle demeanor works for much of her character, but there are particular scenes where I would like to see a little more enthusiasm and desperation. Aside from that minor detail, Kelly gives a comfortable, confident performance and makes the character her own. Joe Ngo as Xu Xian, the kind, lovelorn, uncertain pharmacist assistant who The White Snake takes a shine to and ultimately wants to spent the rest of her life with is a definite highlight with a complete understanding of his character who is unsure, in love, hunted by a feeling of doubt, and in love all at the same time. His comedic timing is absolutely impeccable and this mixed with his authentic and clear representation of all the other emotions of his character make for a strong, assured performance that is a pleasant experience. Eileen Rivera as The Green Snake, the sassy, loyal, somewhat quick-tempered, but humble friend of title character is the certain standout in this production of The White Snake. Rivera takes this character and runs with it, making it her own, but exuding the devotion her character has to The White Snake. She is confident and comfortable in her role with on point comedic timing and she understands her character’s purpose to help her friend who is in love and prone to making some curious decisions, but sticking by her either way. Rivera gives a near flawless performance and is a joy to watch. Final thought… The White Snake at Baltimore Center Stage is a frenetic, modern retelling of a simple fable of the fleetingness of life and the anguish of losing something or someone. Though the adaptation is a bit of a pill to swallow, it’s a spectacle, definitely, with projections, puppets, elaborate dances, and music and not one scene goes by without a collective gasp from the audience. Everything is big, but it works impeccably for this production while keeping everything interesting and engaging and is absolutely worth checking out while enjoying the new digs at Baltimore Center Stage. This is what I thought of Baltimore Center Stage’s production of The White Snake… What did you think? Please feel free to leave a comment! The White Snake will play through March 26 at Baltimore Center Stage, 700 N. Calvert Street, Baltimore, MD. For Tickets, call the box office at 410-332-0033 or purchase them online.